The Kalon desk is a simple yet stunning solution to help transform your workspace into a modern day office. Unlike our Divri and Athos desks, the Kalon desk sticks to straight, clean cut lines but is still just as stunning. Made up entirely of our toughest 15mm clear glass panels, the Kalon is the standard shape for practicality and comfort when it comes to sitting at a desk for hours on end. Sometimes, the powerful effect of a simple piece of glass furniture like the Kalon can be underestimated, but it is a piece used to seriously impress. 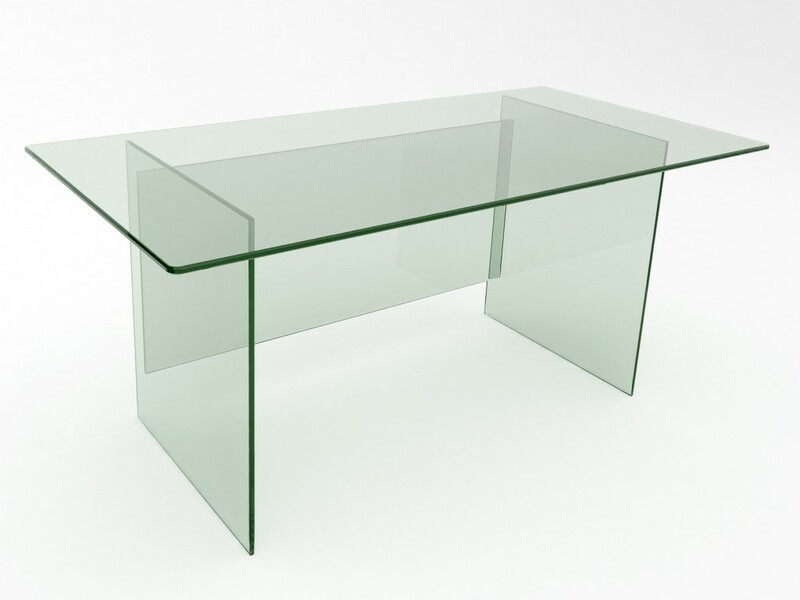 The pure glass base gives off a stylish and contemporary vibe, though alternative bases are available upon request. This is all part of our bespoke design service, which also allows you to customise the size of any of our furniture.